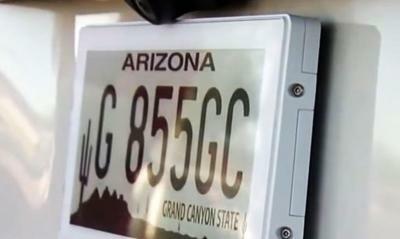 Several states in the US (including Arizona and California) started testing digital license plates, that use E Ink display. The idea is that such plates will mean that people will not have to wait to update their plates, and also can be used to show customized messages when the car is parked. The license plates, called RPlate Pros are produced by US-based Reviver Auto. If you're interested in using this video in your web site, feel free to embed it. If you want more information on Micro-LEDs, check out our MicroLED-Info knowledge hub. 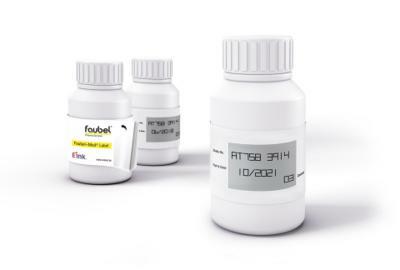 The Faubel Med Label, produced by Faubel & Co Nachf, a pharmaceutical and chemical industry supplier, is a smart label that features and E Ink display and a booklet label that is integrated with RFID to pharmaceutical packaging to be updated on demand. The Med Label is now available for commercial use. Sony's DPT-CP1 is an A5-sized digital paper that uses a 10.3" 1404x1872 (224 PPI) E Ink display. The DPT-CP1 is used to view, annotate and create documents, and uses a stylus. The device has 16GB of storage, can last around a month on a single battery charge and can be connected to Android, iOS, Windows and Mac devices. The DPT-CP1 will ship in Japan in June 2018 for around $650.